Faced with increasing concerns about efficient use of resource, members of the British Healthcare Trades Association (BHTA)[i] have put together guidance on the prevention of pressure ulcers to assist the NHS in achieving cash releasing savings. The figures are stark: The cost to the NHS of treating chronic wounds associated with Pressure Ulcers exceeds £2.6 billion per annum[ii]. Each Pressure Ulcer causes pain and discomfort and risks exacerbating co-morbidities. They were reported to have caused more than 200 deaths and contributed to 25,000 more deaths in England and Wales in 2010. Reported associated deaths related to Pressure Ulcers increased by 50% between 2001-2012[iii],[iv]. In the guidance BHTA identifies immediate cash releasing savings of £270m per annum that are available to the NHS by adoption of the simple preventative actions repeated and highlighted. It has been estimated that the cost of treating chronic wounds associated with pressure ulcers costs the NHS between £2.3 billion and £3.1 billion per annum[v]. Raising awareness, improving education and adopting more appropriate preventative interventions are all necessary to achieve the elimination of these avoidable wounds. To help do this, BHTA members have over the last eight years funded a campaign called “Your Turn”[vi], which is a national movement working to reduce the number of Pressure Ulcers in the UK. In Coventry and Rugby a community education campaign run by “Your Turn” resulted in a 20% decrease in avoidable Grade 2 Community acquired Pressure Ulcers in just six months. The BHTA supports the updating of NICE Guidance every five years to incorporate advances in technology and research/evidence and is keen to work with clinicians to help clarify and implement the guidelines for all pressure ulcer applications. It is vital that Pressure Ulcers are prevented in all settings such as an individual’s own home, a nursing home, residential care, in the emergency care system or indeed in secondary care with due regard to a person’s wheelchair, seating and bed/sleeping arrangements. Accurate data on incidence and place of origin are essential in ensuring that expenditure can be targeted appropriately. CQUIN historically rewarded performance, but incentives should not be restricted to acute services. It should also extend to community, mental health and ambulance services, and beyond the NHS into Social Care. Pressure ulcers must remain an area of focus. Each healthcare setting should have policies with clear recommendations for a structured approach to risk assessment that are relevant to that healthcare setting. These policies must show clinical areas to be targeted, the timing of risk assessment and reassessment, how the documentation is assessed, and how communication of that information is made to the wider healthcare team. The BHTA recommend using EPUAP/ NPUAP guidance on Grading, updated in 2014[vii]. In line with the 2014 NICE Guidance, all pressure ulcers Graded 2 and above should be documented as local clinical incidents and reported, particularly in secondary care. In primary and tertiary care settings however, it seems that there is still a lot of work to be done. The BHTA believes that if these guidelines are implemented correctly, it will lead to accurate incidence levels of pressure ulcers falling within Grades 2-4. In addition it is essential that reporting should also indicate the likely origin of the pressure ulcer (e.g. 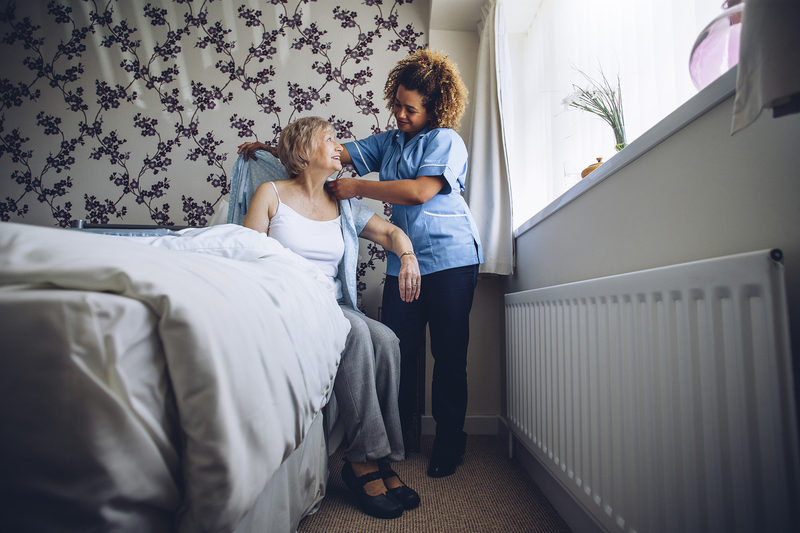 in the community at home, in a nursing home, an ambulance, Emergency Department, operating theatre or other secondary care setting) and that appropriate training is provided on the grading of pressure ulcers. The regular assessments of prevalence are recommended in addition to incidence reporting. Prevalence audits should take place at least once a year at the same time in the year and data should be collected locally, reported centrally, in order that national and regional data can be collated[viii]. Steps should be taken to improve the understanding of the difference between incidence and prevalence in the community. There is concern that not all pressure ulcers are being correctly reported and that this may result in very significantly underestimating the scale of the problem. Healthcare Professionals should receive appropriate education about how to achieve an accurate and reliable risk assessment and that there are many recognised assessment tools to review and use. The BHTA believes that an increase in expenditure on Pressure Ulcer prevention will be more than funded by reduction in overall NHS expenditure.